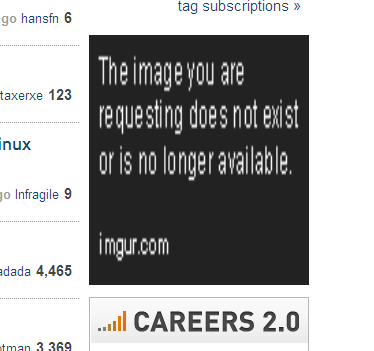 Because imgur.com returns an http status code of 200 for that image, there's really no way for us to detect when an image is no longer available. SvenW's action to edit the offending community ad was the proper one until its author can upload a new image. Is enmimaquinafunciona.com allowed to provide ServerFault questions in Spanish?